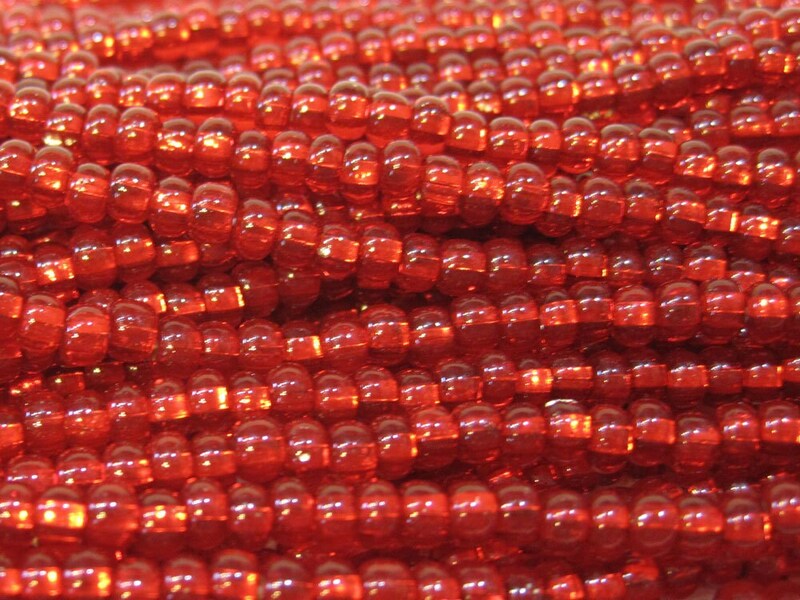 Light ruby red silver lined size 6/0 Czech glass seed beads. Size 6/0 beads measure around 4mm (also referred to as E-beads). Approx. 74 grams of beads on a 6 strand half hank, about 9 beads per inch....that's around 175-185 beads per strand; approx. 1100 beads total!. Plenty of beads for your beading, knitting, crochet, fiber arts projects! Love these beads, I just received thread that I can use them on. My order arrived quickly and in perfect shape. Go ahead and look around the shop, am sure you will find something you can use.